How do BEMS (Building Energy Management Systems) and Genius Hub fit together? Simply; BEMS will give you control of the major plant in the building – boilers, pumps, clarifiers, valves, ventilation etc. to name just some of it, on any large site this is key to getting your plant working together and working efficiently. Genius Hub will give you room by room control of wet radiators, electric heaters, air conditioning units and underfloor heating to save you energy by only heating individual rooms when they are used. Genus Hub increase stakeholder comfort by accurately controlling and measuring the temperature in every room. In most large buildings (50 rooms and more) both systems are vital for efficient and reliable use of the plant and for energy saving and comfort. Today I was working back at the Belvedere Care Home run by the Royal Alfred Seafarers’ Society. This is a beautiful and very well looked after care home providing housing, residential and nursing care to former seafarers, their widows and dependants, and has been for more than 150 years. 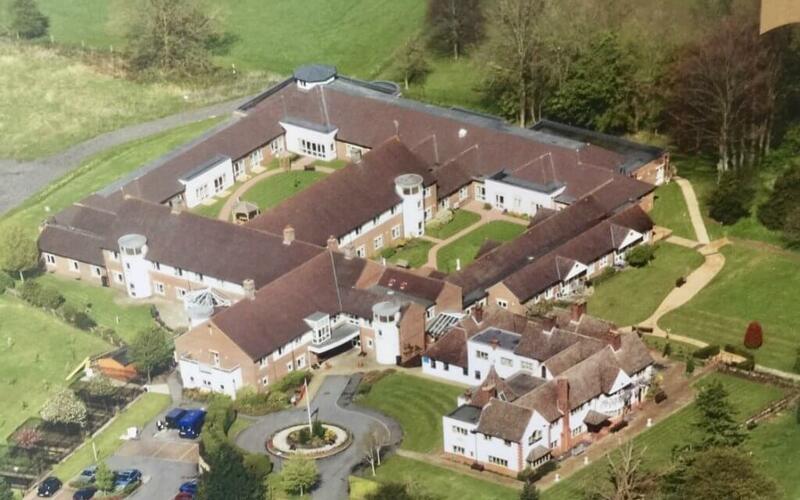 Their residential and nursing care home, Belvedere House, together with their sheltered flats, is situated within the idyllic grounds of the Weston Acres Estate, near Banstead, Surrey. Believe me they really are beautiful as I’ve eaten my lunch over looking the new lake many times when working on site. 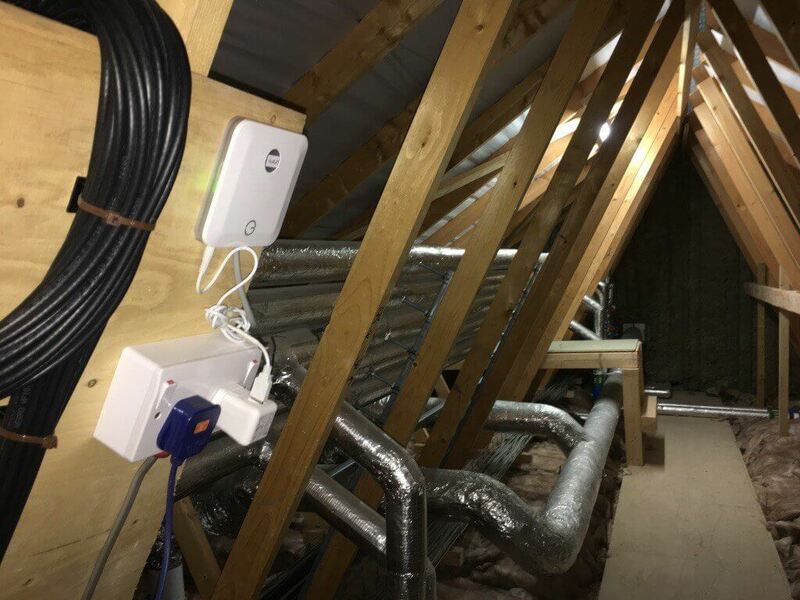 They had a problem which we discovered for them when we were installing the Genius Hub into their 80 bed care home in Autumn 2018. As part of the room control which we offered them, to give them individual and personalised control of each of the residents rooms using our smart Genius Radiator Valves, we also included a mini side project to monitor their 3 gas boilers and biomass boiler to try and establish why the biomass was never working at more than 25% capacity. Not ideal when they were planning on getting the RHI to pay for the installation of the biomass! We installed additional temperature probes onto all of the flow and return pipes from the gas boilers as well as the biomass and found very quickly that the gas boilers were kicking in far to often, and the reason for this was the shunt pumps for the gas boilers were running 24/7 regardless of if the gas boiler was calling for heat. This was causing the gas boilers to fire unnecessarily and reducing the load seen by the biomass boiler. Genius Hub always like to use local engineers so thanks to the Genius Hub Pro-Installer used to install the Genius Hub onto this site, Jason Mears. He introduced us to local BEMS specialist GetFix Solutions. 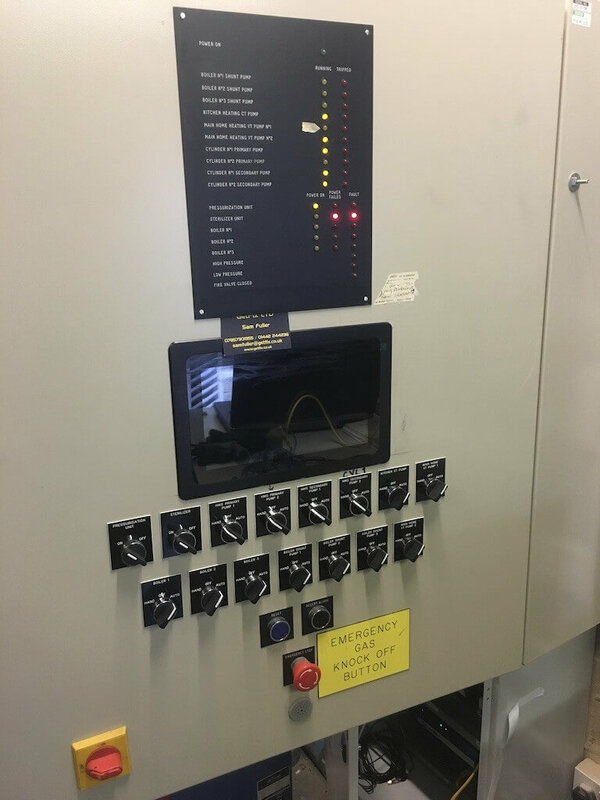 Sam Fuller (director and founder of GetFix) was extremely professional and knowledgeable about the various BEMS solutions that was needed for the control of the biomass and gas boilers. Something that clearly should have been considered by the biomass installers but that is another story. 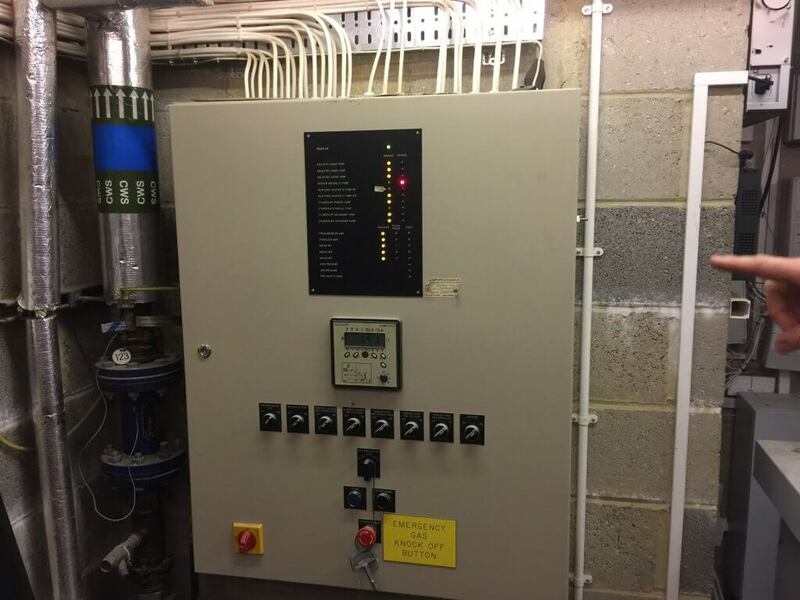 Today we got the new BEMS up and running and linked into the Genius Hub so that the biomass will now take priority and the three gas boilers will only run if the biomass cannot provide enough heat for the heat load. Genius Hub will do its part in keeping the heat load as low as it possibly can, buy only bringing on the rooms that actually need heating. Using the occupancy detection in the resident’s rooms, Genius Hub can lower the temperature in the more mobile resident’s rooms who choose to spend the days in the communal areas or those who leave the site for the day. This has a huge impact and stops the care home wasting valuable energy heating rooms that are not occupied during the day up to 24º as required by the tenants. If you are in the South East of the UK and need any advice on BEMS then please speak with Sam from GetFix, and if you run a care home and are looking at ways to save on your heating costs please contact myself or one of the team at Genius Hub and we can provide a free energy assessment and business case for your site. Please call us on 0121 667 8000 or visit www.geniushub.co.uk. PreviousAre electric Far Infrared panels better than wet radiators? NextHow smart is the Smart Radiator Valve?